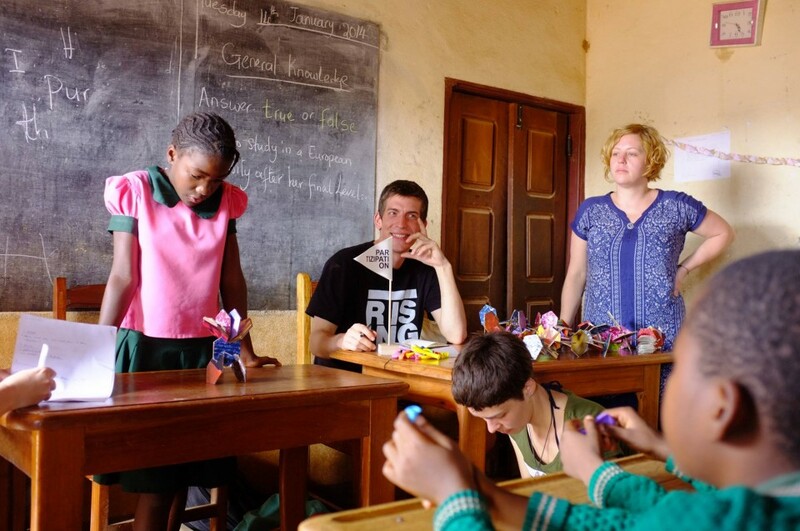 A new school should be built in the capital city of Bertoua, in the easternmost province of Cameroon, which is one of the poorest areas of the country. There are also great deficiencies in the delivery of education in this region, a situation which negatively affects the life perspective of the youth and hinders development of the region in general. This situation must be changed. The goal is to develop together with the local inhabitants and within the framework of a participatory process, a sustainable building concept, which in the following year can be realized as a joint project between students and local workers. The interest of the pupils and students to participate in the design of their school building could be quickly awoken. Work in the workshop showed that a careful exploration of the social, cultural and educational conditions by the organizers is necessary in order to ensure a stable communication basis with the participants. Even before construction began, the entire district Tingaza was invited to a street festival on the future school-location to give an introduction to the building as well as exchange ideas with the population. View the Project Rising Education here!